The Feds’ reach into the U.S. state of Montana has left an industrial hemp farmer without water to quench the thirst of her crop. Great Falls Tribune reports the farmer, operating legally under Montana’s Industrial Hemp Pilot Program, has been denied access to irrigation water as that water is controlled by the federal Bureau of Reclamation. 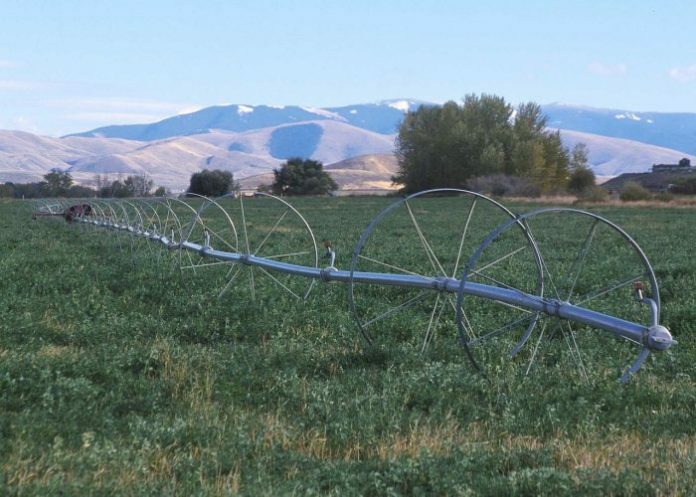 The Bureau is charged with the task of managing, developing and protecting water resources; which one in five farmers in western states depend on. “The Controlled Substances Act of 1970 (CSA) and its implementing regulations prohibit the cultivation of marijuana, as defined at subsection 102(16) of the CSA (codified at 21 U.S.C. 802(16). Reclamation’s obligation as a Federal agency to uphold Federal law prohibits it from approving the use of Reclamation water or facilities to facilitate activities prohibited by the CSA,” states the communication. It’s a well- established fact that industrial hemp isn’t marijuana – but the law has some catching up to do. The federal Farm Bill also allows farmers to grow hemp for research by state agriculture departments and universities. The affected farmer, Kim Phillips, ticked all the right boxes there too – so the situation is a little crazy. After having jumped through all the necessary hoops to participate in the Pilot, Ms. Phillips is now battling to gain access to the precious liquid while trucking in water to keep her first crop alive – an expensive and time-consuming exercise. Industrial hemp that has no more than 0.3% tetrahydrocannabinol is considered an agricultural crop in Montana. The Montana Department of Agriculture says it is working with Ms. Phillips and the Bureau to resolve the issue. Elsewhere, the state of Colorado has already made moves to get around this issue. As we mentioned earlier this month, a bill has been signed into law that confirms industrial hemp as a recognized agricultural product and rights holders can use water in cultivation, even if that water comes from a federal Bureau of Reclamation facility.